Summer in the Yorkshire Dales is a delight in its own right but if you throw in a visit to 'Emmerdale', one of Britain's most popular continuing television dramas (or soaps to you and me), then the intrigue is added to the experience of rolling green hills and expansive countryside as you escape the city. The Yorkshire Dales is a National Park of outstanding natural beauty and is a protected area, free from over-ambitious development so it is able to conserve its wild and beautiful landscape and its historic past without too much modern interference, while being close to some of the larger cities in the county. 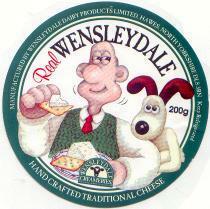 There are around forty towns sprinkled around the Dales, each with their own charm and character and possessing names such as Crummackdale, Wharfedale and, of course, Wensleydale – home of the famous cheese, much loved in the 'Wallace and Gromit' animations. 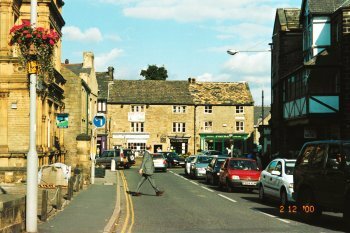 In fact 'Emmerdale' doesn't really exist if you want to look for it on the map, the place name is fictitious but the town where the television series is filmed is real and the folk are as friendly as you would wish for. The programme, with its distinctive theme tune, has been on our screens for more than forty years in the U.K. and is popular in Scandinavia, Australia, New Zealand and Romania, to name just a few. Originally called 'Emmerdale Farm' it regularly attracts over 7 million viewers per episode. Set in the 'Dales' the storylines surround the everyday lives of rural folk and draws acting talent from all over the country, including several from my neck of the woods in the north-east of England. 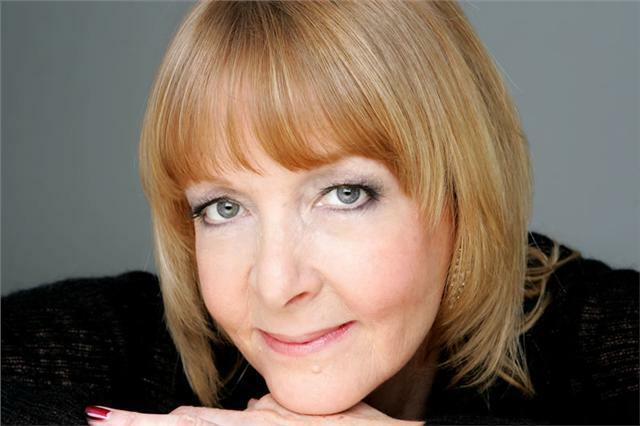 My claim to fame is that I once met the lovely Charlie Hardwick while I was on a training course on Tyneside, where she was a guest at one of our seminars. Charlie is perhaps best known for playing the part of Val Pollard in the ongoing drama. If I'm honest, I've only ever caught a few episodes over the years, so I can't claim to be a big fan but when my friend spotted a day trip advertised at a local charity she volunteers with, we agreed that it sounded like a lovely day out. There were several fans of the programme on the trip and for some the aim was to have their lunch in 'The Woolpack' pub – the local watering hole in the long running show. The series is generally filmed on a closed set at its specially built studios near Leeds so it isn't possible to see the show being made. But we were heading towards the real Yorkshire for a day out in the fresh air. There are several companies offering 'Emmerdale' location tours. Yorkshire is a couple of hours drive from where I live on Tyneside and you can't underestimate the sense of freedom as the wide-open green fields roll by on the journey there. Our first stop was in the town centre of Otley, which regular viewers may recognise as the backdrop for much of the outdoor filming of the present day 'Emmerdale' series. The town has also been used as a movie location and on other well known television programmes such as 'Heartbeat'. Then we visited Escholt, a tiny village of grey stone houses set against soaring hillsides and farmland, where the original series first revealed this beautiful location. A traditional market town set on the River Wharfe in West Yorkshire, with local food, shops and pubs, Otley is well worth a wander around. We didn't stay long but there was a very gentile and friendly atmosphere about the place. Esholt, on the other hand, was like stepping back through time, with its 19th century church and schoolhouse and a water pump in the centre of the village, it lay deep in the valley, surrounded by green hills and a small farm which was open to visitors. Once in Esholt, we had plenty of time to wander around the village and visit the gift shop before stopping for a drink in 'The Woolpack'. This is the original pub whose exterior views have appeared on our screens many times, although the interior scenes are filmed on set. It was a beautiful sunny afternoon and we sat out in the pub garden with the rest of the crowd from our coach trip sipping our cider and enjoying the atmosphere amidst the beautiful rural location, a perfect summer's afternoon. Our trip was arranged by Age Uk, which is specially for the over 50s. There are branches all over the country and our local branch at South Shields offers various facilities and advice services as well as arranging day trips during the summer months. Finding 'Emmerdale' was a bit tricky at first as our driver got lost and we ended up in Knaresborough, another pretty Yorkshire town but nowhere near where we planned to be. We eventually found 'Emmerdale' on our second trip, turning off the motorway near Leeds/Bradford airport towards Otley. Esholt was a short drive away. I like your comparative photos. Great article.